The markets after staging a good come back from 17800 levels are back to testing it. 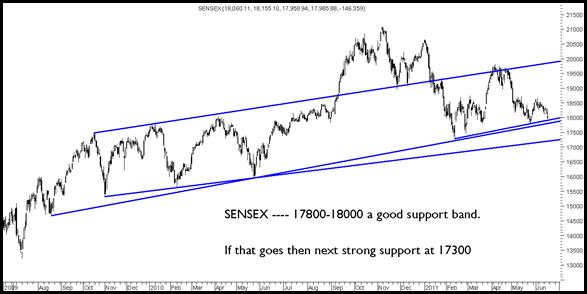 The supports for near term are placed at 17800-18000 levels and on the downside to 17300 levels. Although this may look like a head and shoulders with deeper targets but a string of supports at 17300 will reduce the downsides if it breaks 17800. Another intriguing observation is the resilience in the midcaps/smallcaps and broader segment which have not declined in the current dip. Quite a lot of indices have not come to recent lows. One of the reasons could be the drop in Reliance Inds and some more large caps. 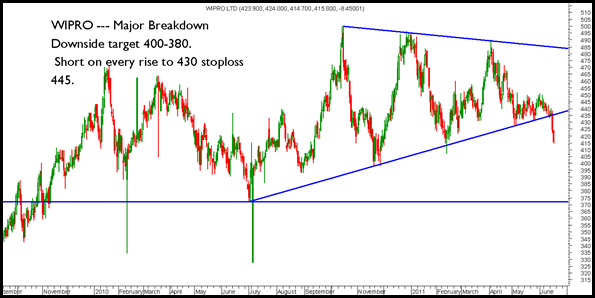 One of the stocks which consistently has tested breakdown and breakout levels but has ended up going no where earlier the range was 900-1100 which has now got shifted to 880-1070. Now it seems the range may now shift to 850-1020. So one may look for a bounce back trade by buying around 850-880 in small parts with a stoploss of 840. Bounce back could come till 920/950 levels also. 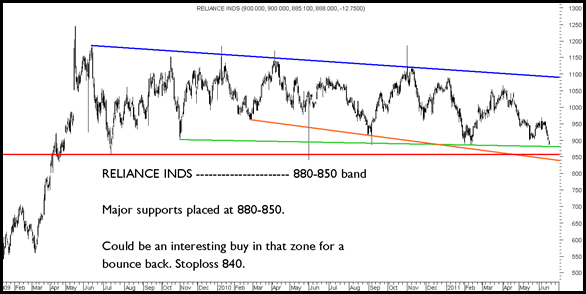 The rangebound move of Reliance would continue to impact Index moves. 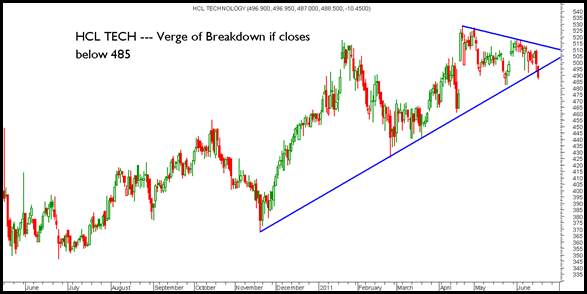 Certain other stocks which are negatively placed on the index – IT stocks have seen their first hint of selling. 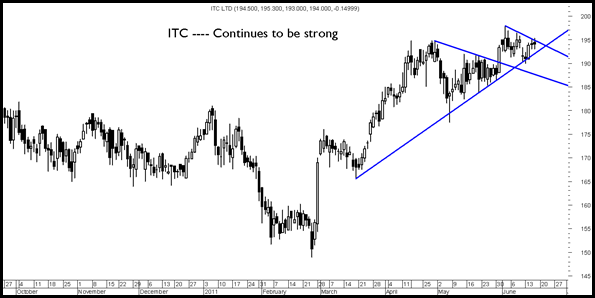 Only pocket of strength seems to be TCS till it holds 1130-1150. 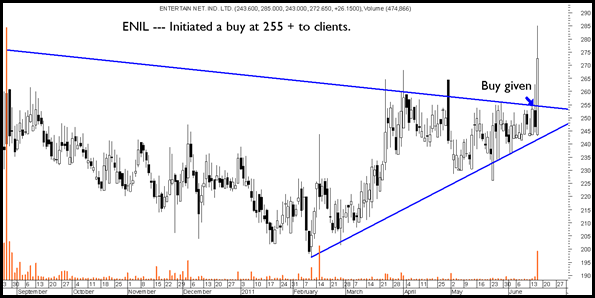 I have been investing in a staggered manner in RIL since a year. Buying 10 stocks every time it falls by Rs10. I have it at an average price of Rs940 now. But getting worried now. I am still buying into the dip but want your advice. I am a long term player. Nooresh please reply. I am waiting on u, should we accumulate RIL? I am long i nRIL. I bought RIL future at 917 and still holding. Did hedge my future with buying put. 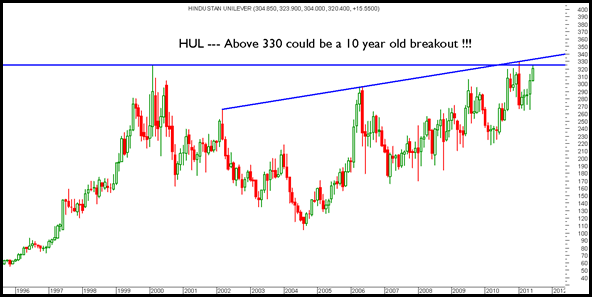 What you suggest now, is there a chance for RIL to touch 950 in this month?